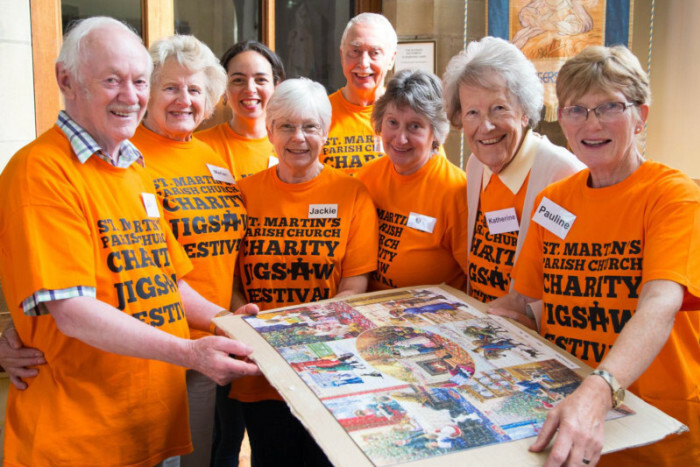 Gibsons, the independent jigsaw puzzle and board game company, are proud to announce that they will be sponsoring the Brighouse Charity Jigsaw Puzzle Festival this August, the annual event that takes place at St Martin’s Parish Church in Brighouse, West Yorkshire. The four-day event is to be held from Friday 24th to Monday 27th August 2018 and will showcase over 1,000 different jigsaws, making the Brighouse Charity Jigsaw Festival the perfect place for serious puzzles and jigsaw newbies alike. First launched in 2012, the festival raises money for local charities. This year the beneficiaries will be Together for Looked-after Children, Yorkshire Children’s Trust and St. Martin’s Mission to Children in the Community. Funds are raised from the sale of jigsaw puzzles and crafts, a raffle, a tombola, a Golden Jigsaw Competition and refreshments sold at the established “Missing Piece Café”. “The Brighouse Charity Jigsaw Festival sounds like a wonderful event and we very excited to sponsor a festival that not only brings people together but also raises money for such great causes,” states Kate Gibson, Managing Director of Gibsons. “The Charity Jigsaw Festival is an established event in the local calendar with many visitors returning over the four days to view and buy from the constantly changing display. Even people with limited interest in jigsaws make second and subsequent visits simply to enjoy the selection of delicious food served by the St. Martin’s Hospitality Team at the “Missing Piece Café”, including morning coffee with bacon butties, lunches, fabulous Yorkshire Breakfasts and Cream Teas,” says Alan Sparks, lead organiser of the event. Local press is invited to cover the event, as well as any budding puzzlers to drop by and view the hundreds of jigsaw puzzles that are on offer. Entry for visitors is just £2 and accompanied children can enter for free. Location: St. Martin’s Parish Church, Brighouse, HD6 1AT.